With the holiday season quickly approaching, it can be easy to get caught up in all of the excitement of the festivities. While not everyone might have the ability to enjoy the season, California Baptist University students have the opportunity to give back. In Riverside and the Inland Empire, there are several different organizations with which one could volunteer this coming holiday season. • Operation: Christmas Child — As part of Samaritan’s Purse, Operation: Christmas Child desires to reach children and families with free gifts every holiday season. 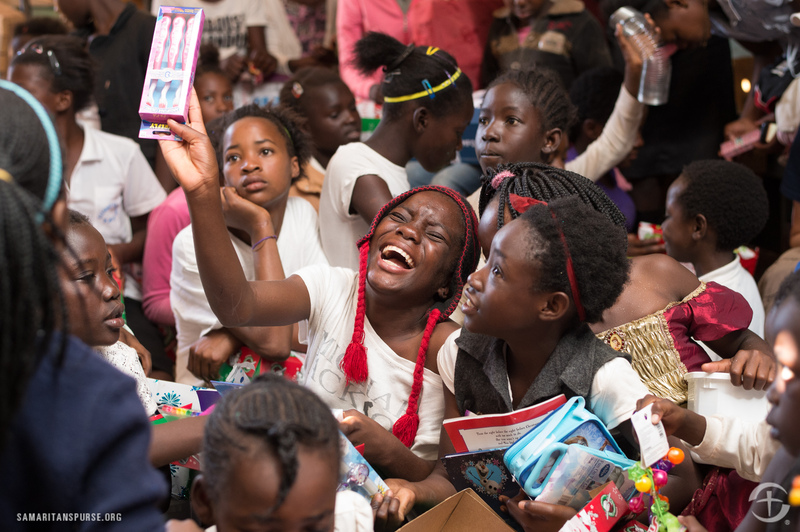 Since 1993, more than 100 million children living in more than 130 countries have received boxes filled with toys, hygiene items and school supplies, as well as the gospel message. California Baptist University will host the seventh annual shoebox packing party Dec. 3 as part of the annual Christmas Tree Lighting. • Feeding America – Feeding America’s Riverside-San Bernardino chapter has many different opportunities to get involved, including working in its Food Distribution Center. The distribution center relies heavily on the support of volunteers every weekday to help sort, package and weigh food to help them feed more than 400,000 people in the Inland Empire. Visit its website to find out more. • Sunrise Senior Living Center – Sunrise Senior Living Center, located approximately 5 miles from CBU, uses volunteers’ help to organize outings and activities to spend time hanging out with residents. Any passion or skill-set that can be used to benefit the lives of the seniors, they would be beneficial. Visit their website for more information. • Riverside Family Justice Center – The RFJC is an organization centered around helping families affected by domestic abuse. The organization is always accepting donations of small items, such as school supplies, food and toiletries. Visit their website for a full list of items. Whether serving in a shelter, with the elderly or by packing boxes for children in need, be sure to make the most of this holiday season and give back to the Riverside or one’s local community. Serving will not only benefit those in need, it will also encourage joy in this season of giving.